Gena's Genealogy: Women's History Month 2016: Tip #21 Cookbooks! 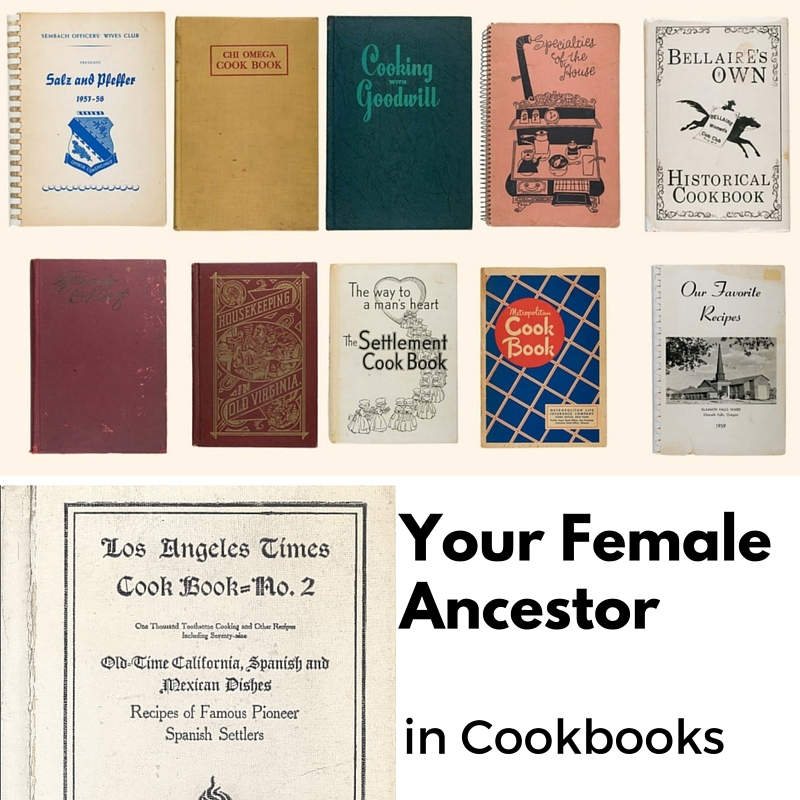 Women's History Month 2016: Tip #21 Cookbooks! Really, you didn't think we could do a month worth of tips and not mention cookbooks? Cookbooks are important. 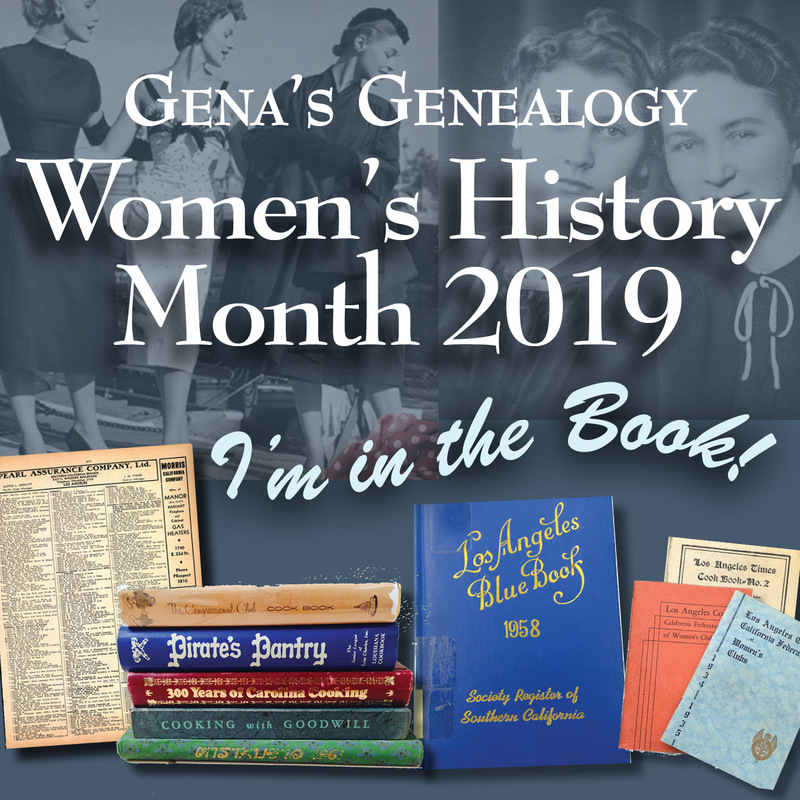 They are a genealogy source, especially community cookbooks which are very similar to other genealogical sources like city directories. Community cookbooks are at the very least a “names list.” They provide a person's name and residence. Community cookbooks vary on what information can be found in the cookbook and may include additional information ranging from just the name of the recipe contributor to family history information explaining the significance of the recipe to the family. Depending on the group who organized the cookbook you can find occupations, personal histories, and even clues to ethnic backgrounds. So how do you find community cookbooks? While many repositories have not collected community cookbooks, there are ways to find community cookbooks that document the locality you are researching and may even list a family member’s name. In searching for possible community cookbooks, consider checking available bibliographies, archival/library collections, digitized book sites and online auction websites. 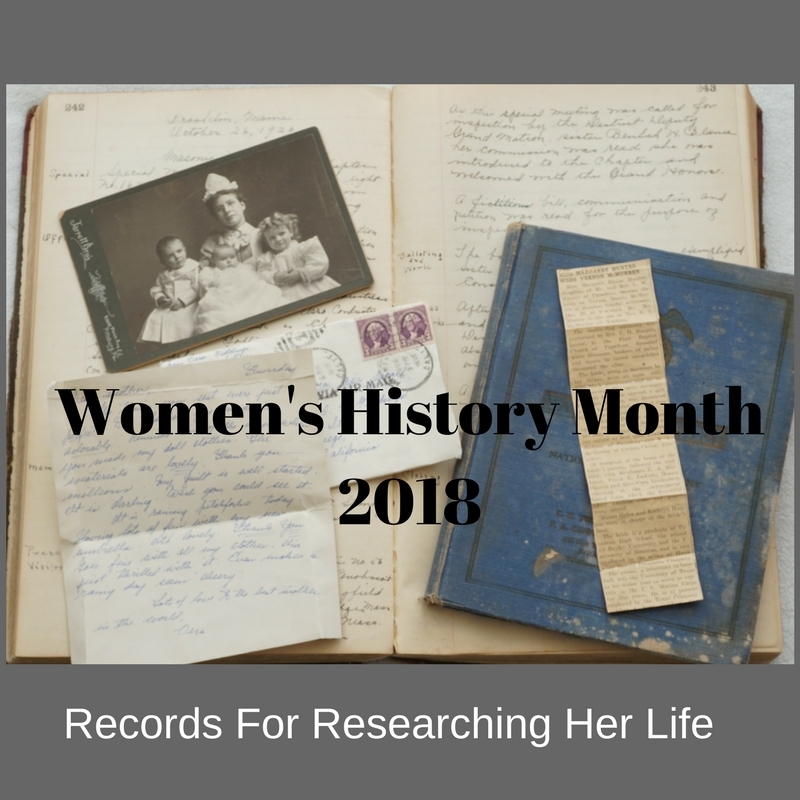 If you are in the area where your ancestor lived, you can expand your search to local library collections, used bookstores, friends of the library book sales and thrift stores. Digitized book websites provide genealogists with a convenient way to peruse new and old books online. Don't forget to search these websites for cookbooks. Internet Archive’s Text collection has a Cooking sub-collection. This collection includes books from UCLA, UC Berkeley and the Prelinger Library. You can search this collection by title or by author. While a library or archive in your ancestor’s locality might hold the promise of a collection of community cookbooks, another place to search is eBay. Community cookbooks are well represented on eBay and run the gamut of church, school, and organizational books spanning the 19th and 20th century. And don't forget that often times community cookbooks are a home source. Ask family members about the possibility they own these long-forgotten gems. If you want to check out more cookbooks, please see my blog Food.Family.Ephemera.